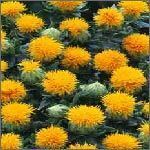 Verdure Herbals is the major exporter of safflower from India . Please contact us for your respective enquiries. Our clients can avail from us a wide range of Safflower which is known as a rich source of energy value. Besides, the safflower seeds & flower are very high in protein and the oil extracted from the seeds is used in Cooking and has high nutritional value. 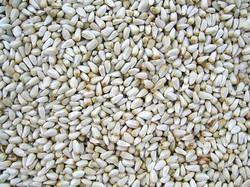 Apart from this, safflower is also used for bird feeding as well. Kusum is a beautiful tree with a broad, shady crown, found widespread in Tropical Himalayas (Punjab to Nepal), India, Ceylon, Burma, Thailand, Indo-China, Malaysia. - Part Used : Flower. - Botanical Name : Carthamus Tinctorius. - Common Name : Safflower. - Indian Name : Kusum Phool. Safflower Petals - Carthamus Tinctorius - Kusumphool. In traditional medicines, Carthamus species (e.g. Carthamus tinctorius, Carthamus lanatus, Carthamus arthamus, Carthamus oxycantha) may have been used for treating asthma, bronchitis, abdominal colic, jaundice, rheumatism and gynecological, heart and inflammation diseases. Area of Usages : Pharmaceuticals, Ayurvedic(oil, color cosmetics, fabrics). Futurals Carthamus is a natural extract obtained from dehydrated safflower flowers (Carthamustinctorius L.) selected for their aromatic and coloring properties. Guava is very common type of fruit in Asian countries, but is also readily available in western countries. The fruit is round or pear-shaped with light green, yellow or maroon skin and white or maroon flesh that contains many small, hard edible seeds. It is soft when ripe with a sweet, musky aroma and creamy in texture.